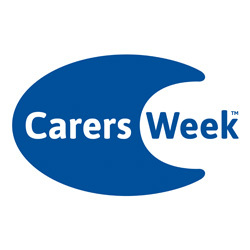 Carers Week is a national campaign to raise awareness of caring, one that celebrates the contribution made by the UK’s 6.5 million unpaid carers to those they care for and their wider communities. Given an ageing population and the greater prevalence of complex health conditions that comes with longevity, Carers UK, the charity behind the campaign, estimates that the number of carers will rise to 9 million by 2037 – all the more reason that we focus on caring for the carers! Almost 1.3 million people over 65 are carers; at the same time we’re seeing increasing numbers of children and young adults taking on caring responsibilities. A huge number of us will become carers at some point whether for a brief, intense period, permanently or just occasionally. Caring can be hugely satisfying and reveal strengths that people never thought they had. But without the right support it can also be devastating, sometimes leading to ill-health, poverty and social isolation. The focus of Carers Week 2018 is supporting carers to stay ‘Healthy and Connected’; the campaign calls on services and organisations across the country to help carers to access the practical, financial and emotional support them need to maintain their own wellbeing. Carers do an amazing job looking after their loved ones, but they are individuals with health and wellbeing needs of their own. Brain Injury Group and its members support carers as well as the individuals directly affected by brain injury. You can find more information about how the carers of people affected by brain injury can access emotional and practical support here. If you’re a carer in need of help and advice about making decisions for other people, you might want to talk to one of the Court of Protection specialists amongst our members. You can find details here. Brain injured people often become dependent on family members who have had the role of carer thrust upon them without warning. Some have the help of professionals, medical teams and care workers; some may be left virtually alone to get on with providing the care their loved one needs. Without exception, becoming a carer for someone with a brain injury is a significant commitment that deserves recognition; as a network dedicated to the support of brain injured people and their families, Carers Week is a campaign that’s close to our hearts. 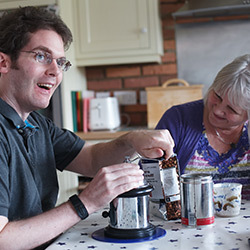 These case studies show what it means to be a carer. Sue cares for her husband Charles; he suffered extensive brain damage and was left severely disabled following a cycling accident. Sandra* works full time whilst caring for her husband Andrew* who was seriously injured in a motorcycle accident. Carers Week 2018 takes place 11-17 June. Sign up here to show your support.